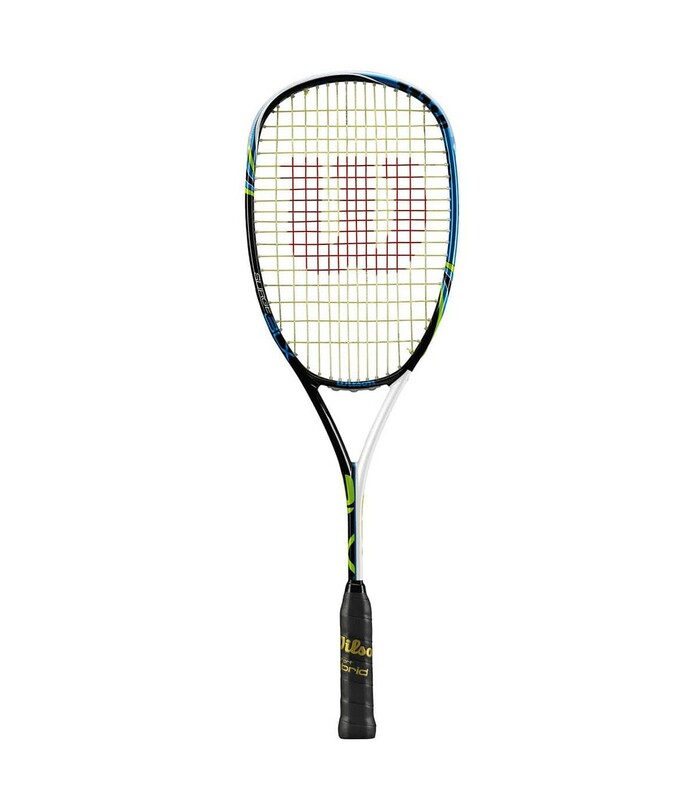 The Wilson BLX Surge squash racket is perfectly suited to beginners and recreational players. With its large headsize (645cm²) and its length (69cm), this racket is comfortable and tolerant. It offers a wide striking surface for your ball. The Wilson BLX Surge squash racket is heavyweight with a weight of 289g. The advantage of this squash racket is its strength and comfort, because thanks to its weight, it hugely reduces vibrations sent to the arm. It also has an XXL headsize with a 645cm² playing surface, which gives to players a great playing surface for their ball. For a better sensation you can add a Wilson overgrip on your squash racket. With its weight and its large screen, the Wilson BLX Surge squash racket is perfect for beginners and recreational players. In addition to its weight and its screen, this squash racket is particularly long (69cm), which offers more freedom of movement. 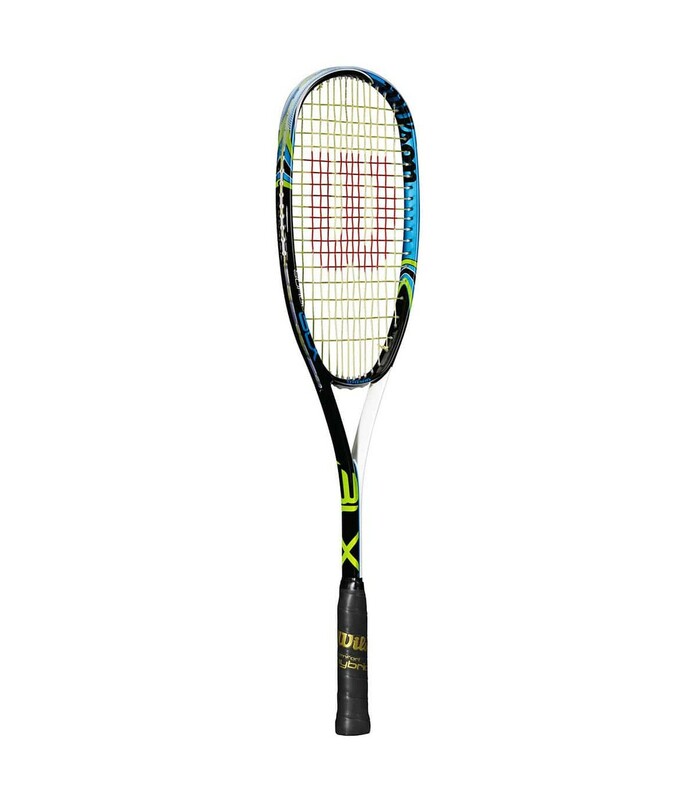 Thanks to its weight, its length and its wide headsize, the Wilson BLX Surge squash racket offers comfort to players. 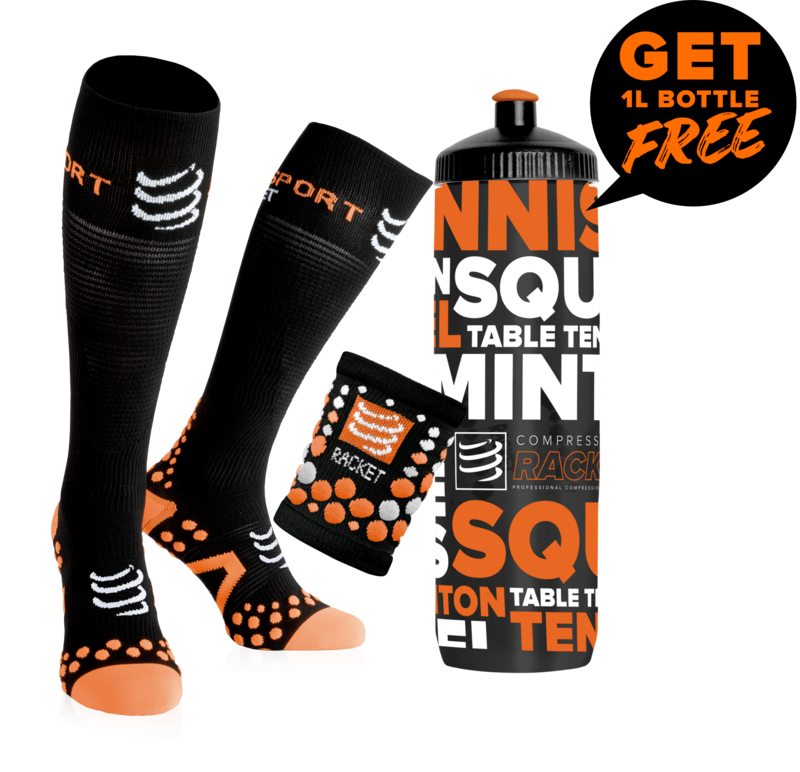 It is very important to be well equipped for playing a squash game, a squash racket is primary as well as your safety, thereby, don't forget to buy a Wilson Squash goggle to be well protected. No need to be accurate with this squash racket. The headsize provides good tolerance. With a 33.9cm balance, the Wilson BLX Surge squash racket is headlight balanced, which provides maneuverability. Solid, comfortable and tolerant, this squash racket will help you improve your game. The Wilson BLX Surge squash racket also features the BLX technology. This technology, combined with its [K]arophite Black and Basalt composition offer more comfort to the players, by reducing significantly the vibrations transmitted to the arm.